1. 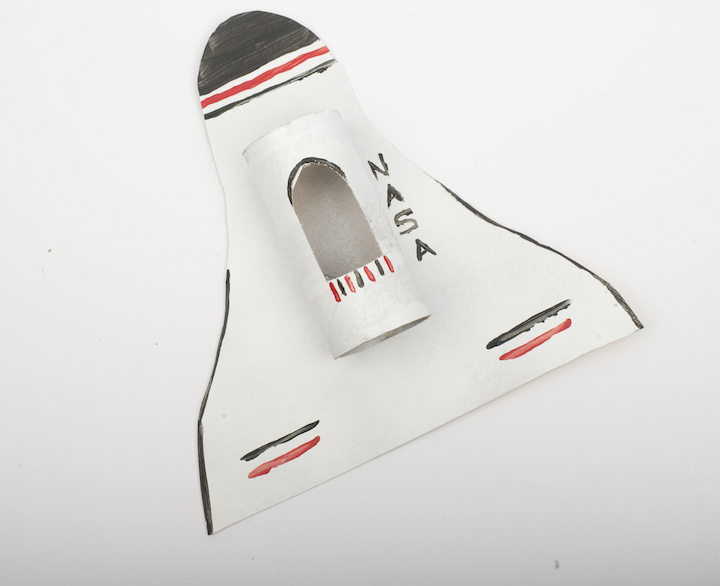 Flip your cereal box cardboard print side down and trace the outline of a spacecraft, and cut along the outline. 2. Draw an oval with a flat side on the toilet paper roll and cut carefully with the razorblade or an X-acto knife. 3. Paint and decorate your spacecraft any way you like! 4. Once the paint is dry, hot glue the toilet paper roll to the cardboard and your astronauts are ready to head for the stars!